SAPIEN Technologies, Inc is proud to announce the release of PowerShell ModuleManager 2019—the premier management tool for PowerShell modules. PowerShell ModuleManager makes it easy to search and manage modules installed on your machine, ensuring that your modules are always up-to-date. Find yourself in module version hell? PowerShell ModuleManager prevents version confusion by removing outdated module versions and duplicates. 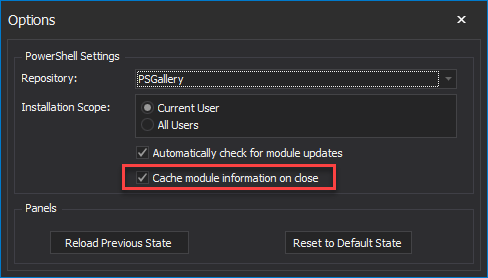 Search and install new modules from the PowerShell Gallery or any other repository. Filter and find specific modules on your machine. View detailed module information at a glance. See the modules that have updates. Move modules to a different folder. Temporarily disable modules or specific versions for testing. PowerShell ModuleManager 2019 is available from SAPIEN Technologies, Inc. for an introductory price of only $29. For more information and a free trial, see PowerShell ModuleManager. 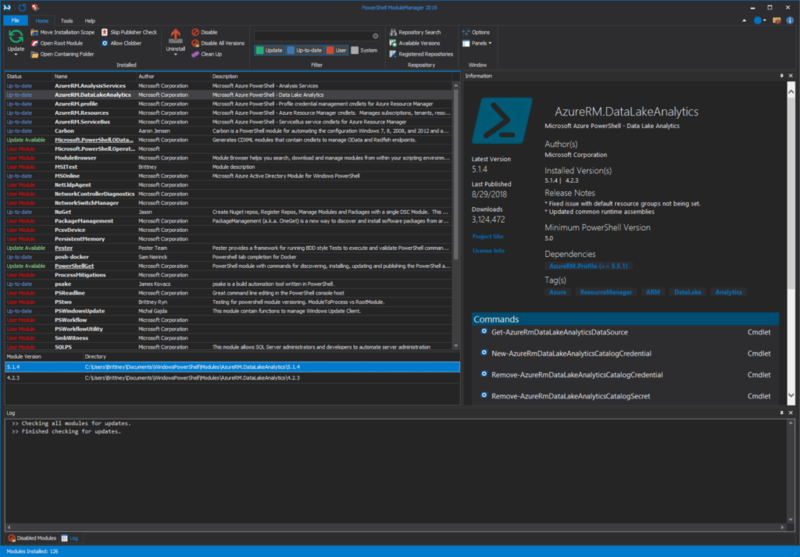 The PowerShell ModuleManager 2019 release includes performance improvements and new features based on feedback received from our free preview that was released earlier this year. Remove old versions from your machine! When a module updates, the version is installed, but the previous versions remain. Declutter your modules by letting PowerShell ModuleManager remove those unwanted modules for you. The Installation Scope specifies where modules will be installed when updating or installing. When installing a module, PowerShell checks existing modules for potential conflicts. Take control of your modules—get PowerShell ModuleManager today! Community feedback is valuable because it helps us improve and create tools that you need. Many of the new features included in the service builds are suggestions from users like you. Submit your suggestions or feature requests on the Wish List and Feature Requests forum or the new Feature Requests page.